I've always liked making cards but haven't ever thought about how to improve my technique, staying with the glue-and-glitter method that I've loved since I was 4 or 5. 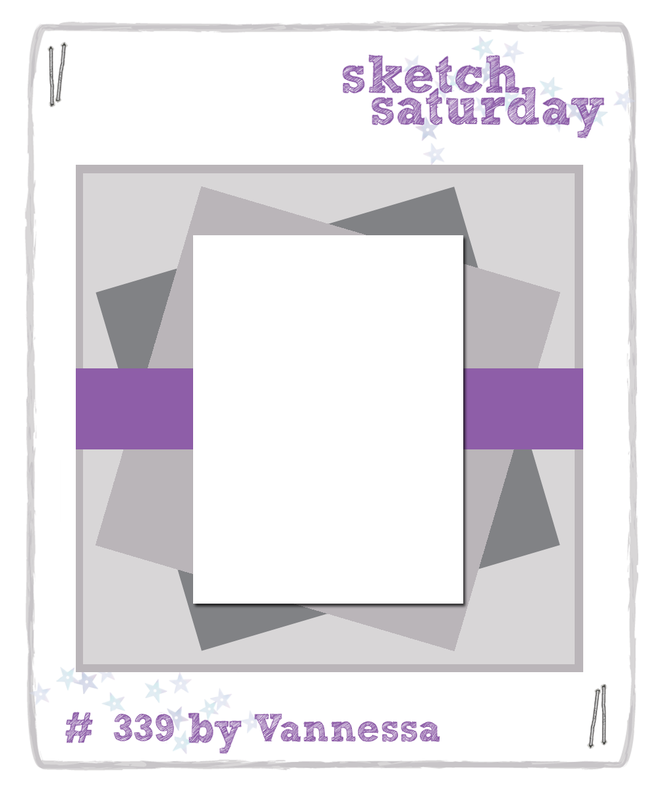 A friend has inspired me to look at new methods and styles so, when making my Christmas cards, I decided to use the current Sketch Saturday template for one of my designs. The stamp is one of the Winter Stanley collection from DigiStamps Boutique. 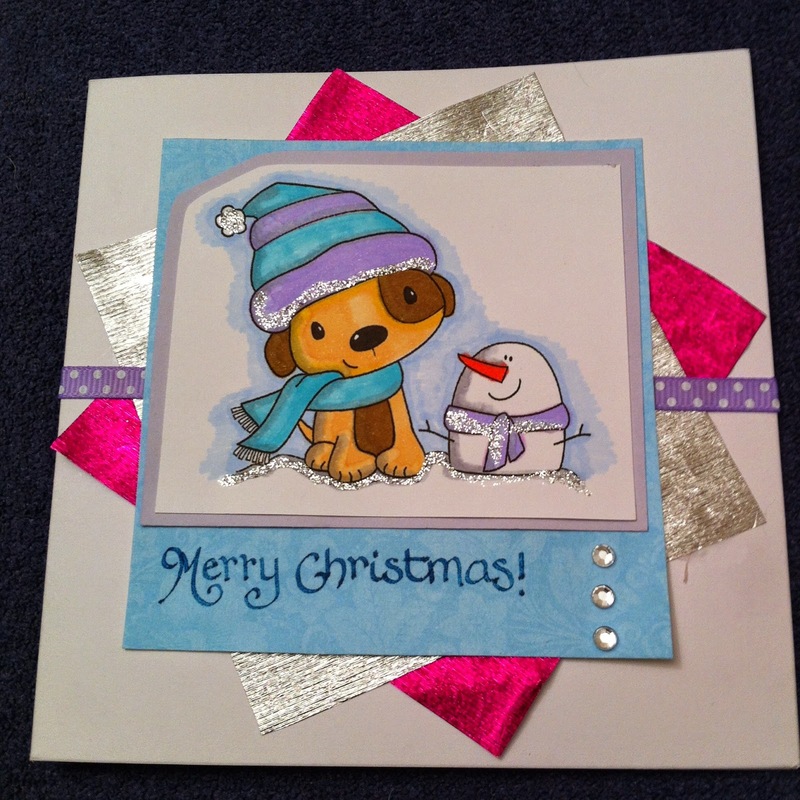 I've always previously been all about gold and red at Christmas but colouring in the image with Spectrum Noir pastel shades led me to choose the silver colour palette for the backing shapes.